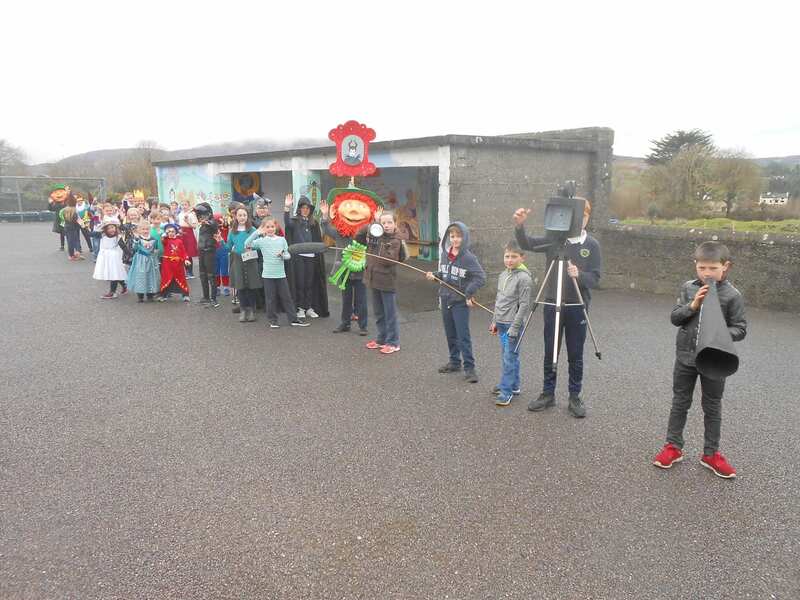 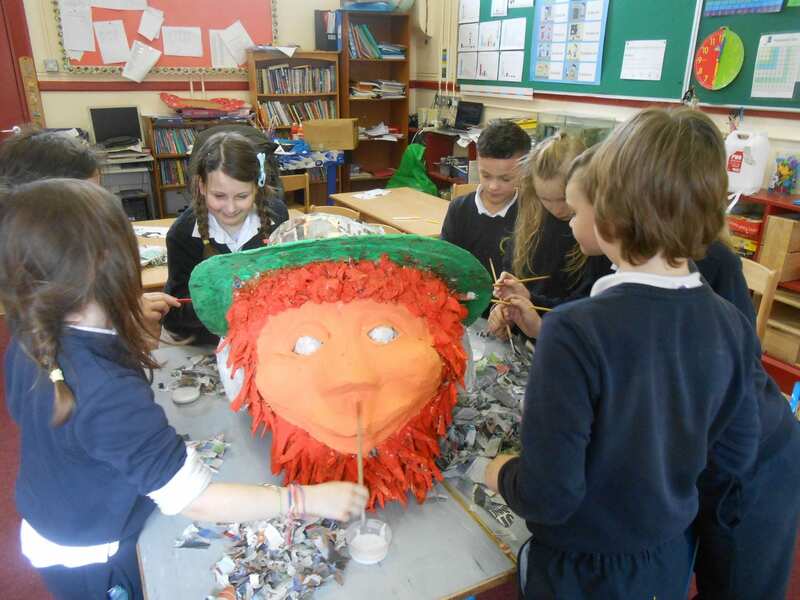 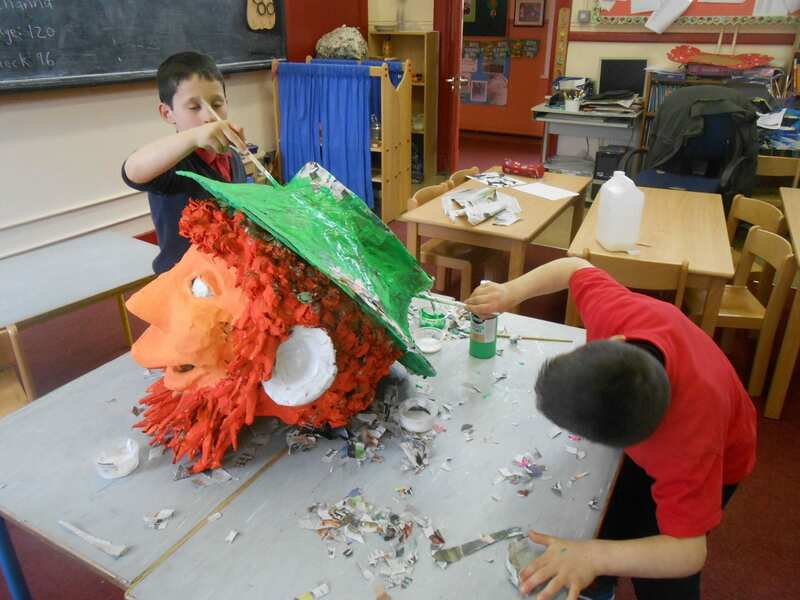 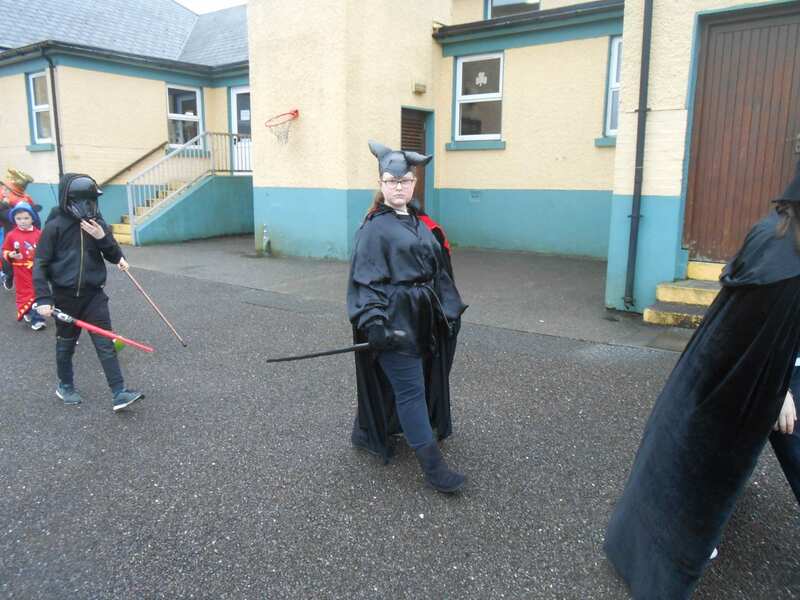 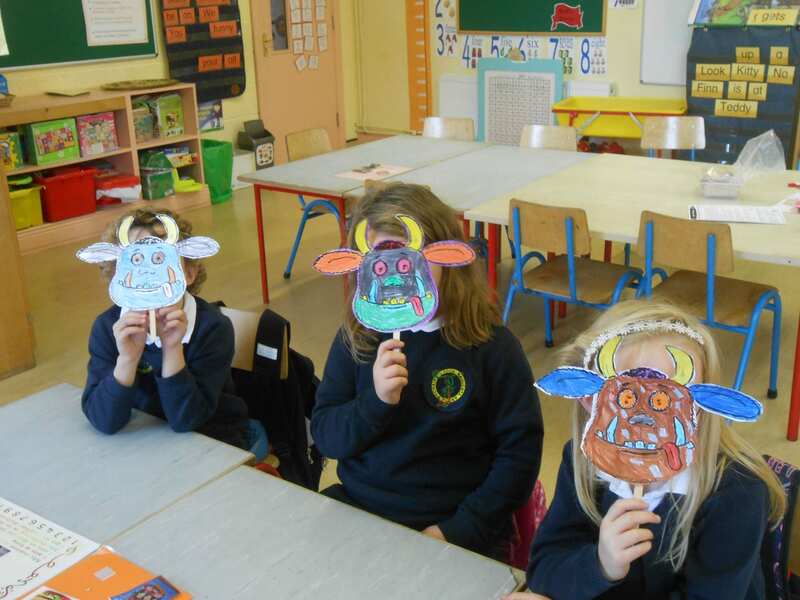 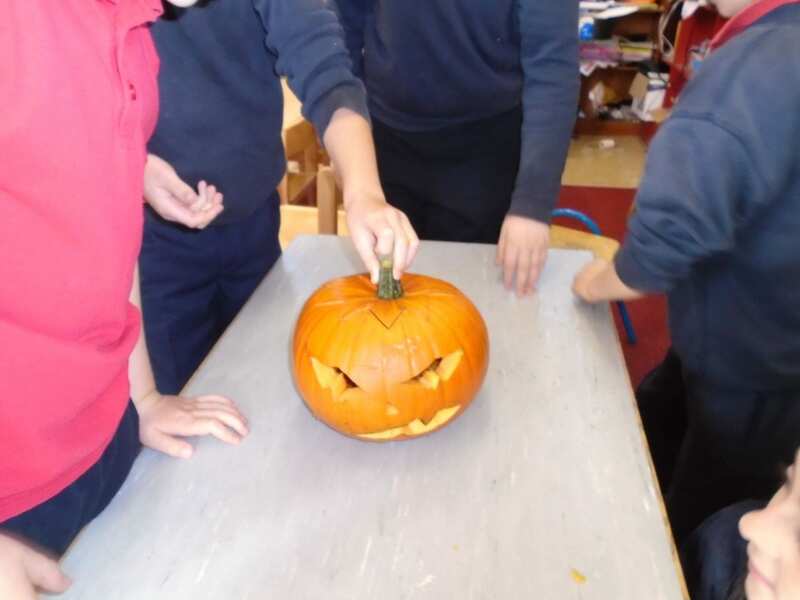 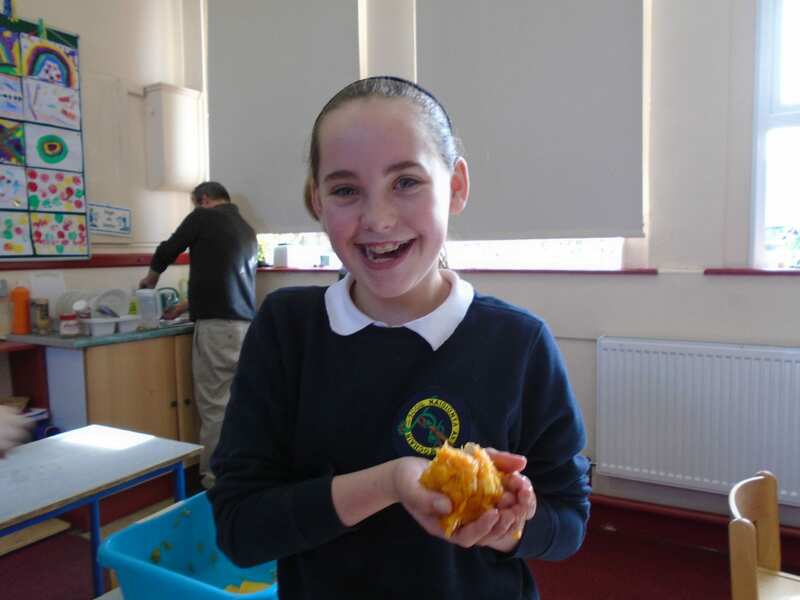 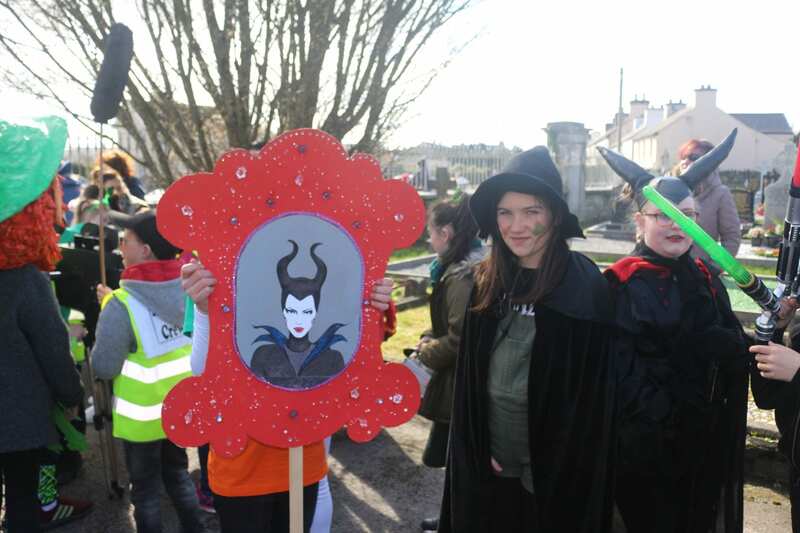 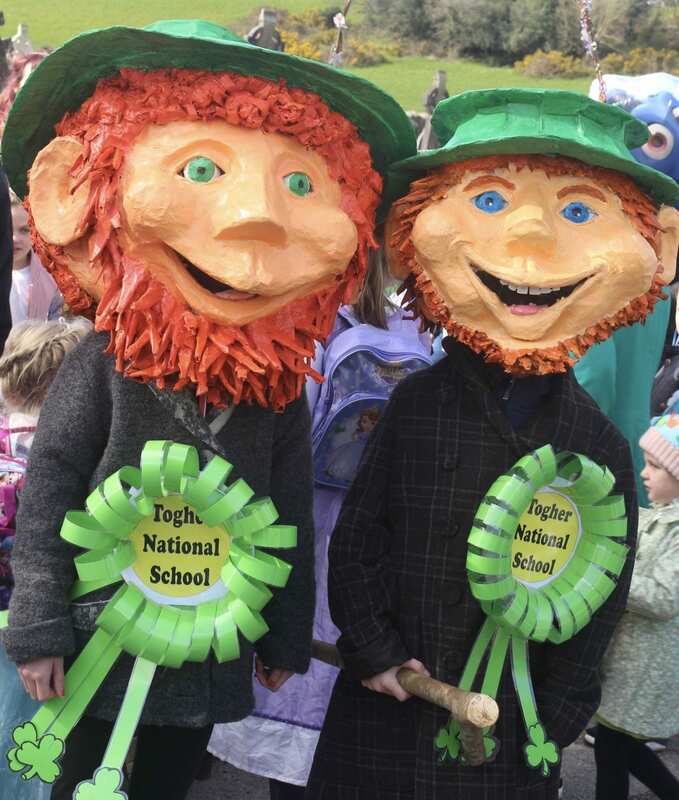 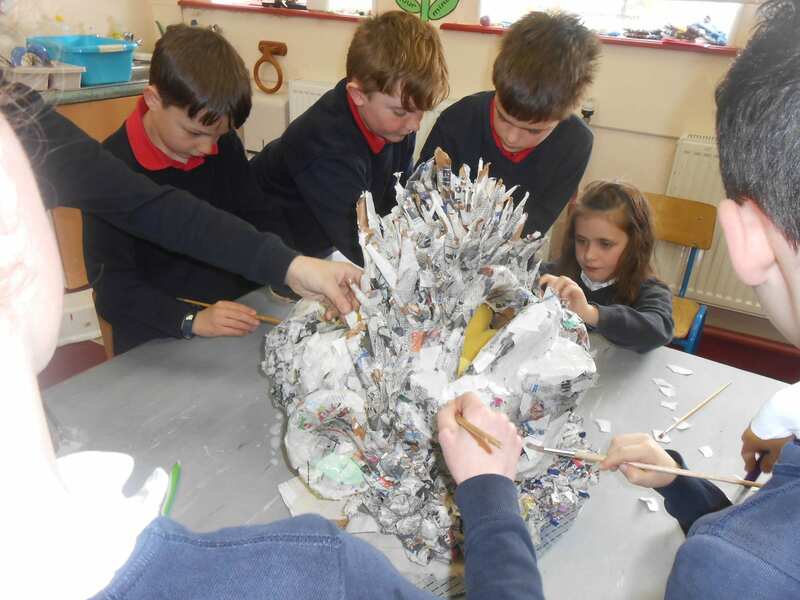 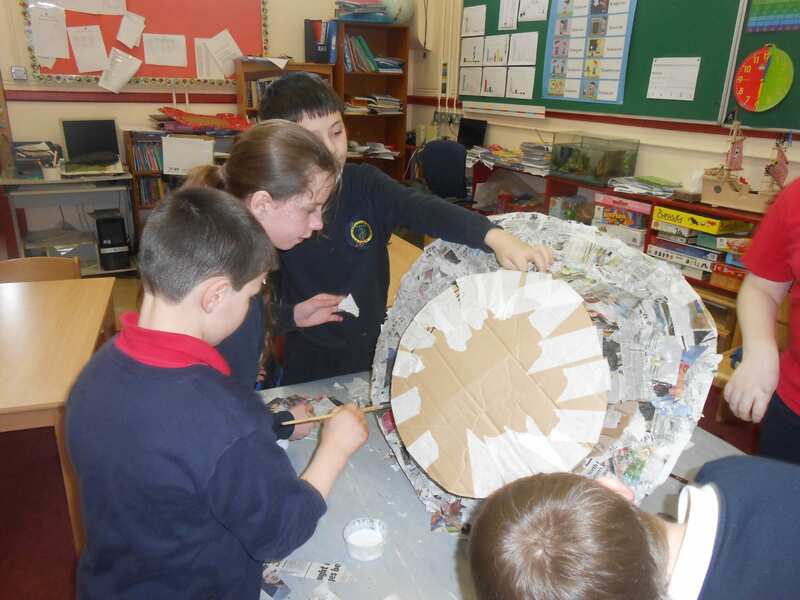 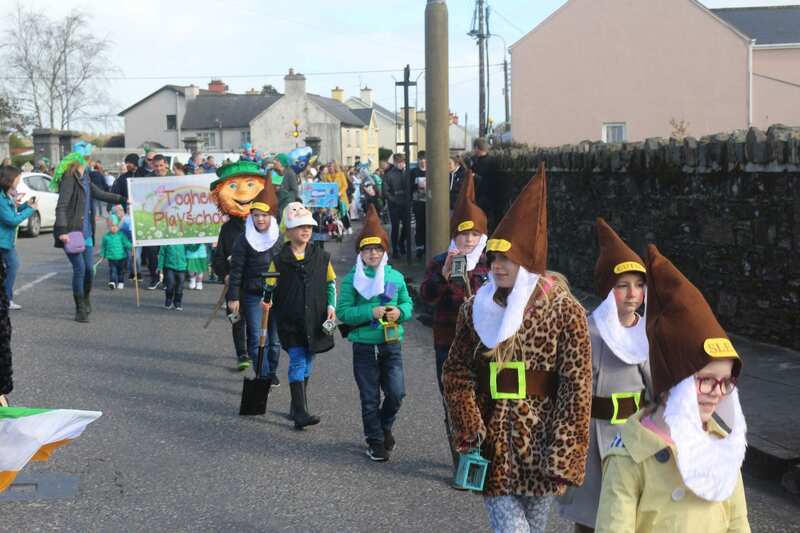 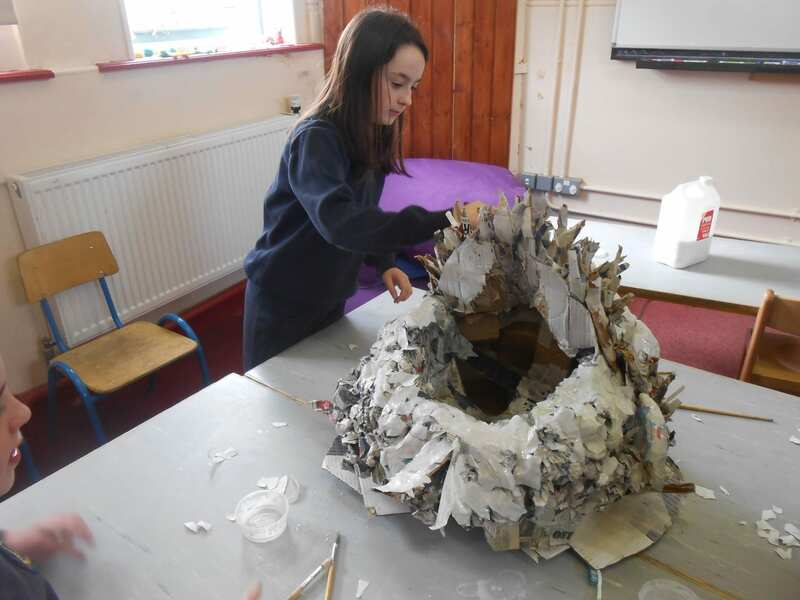 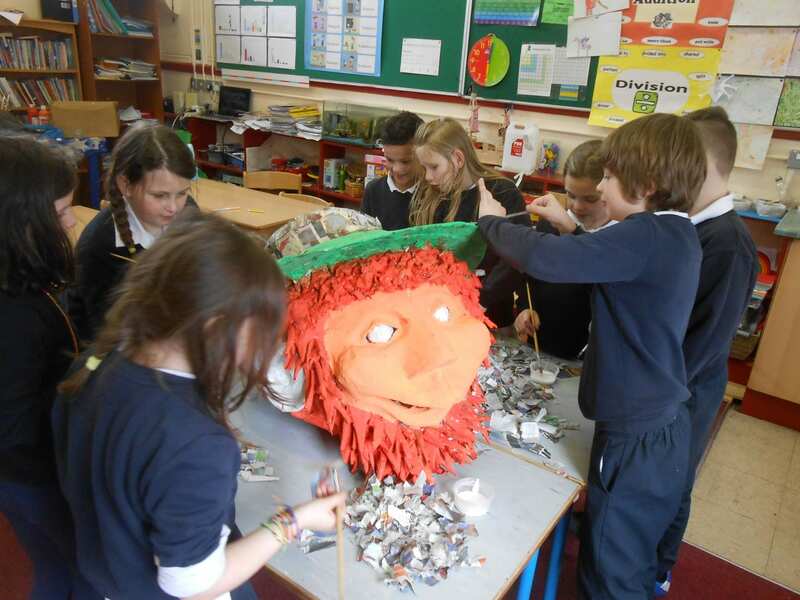 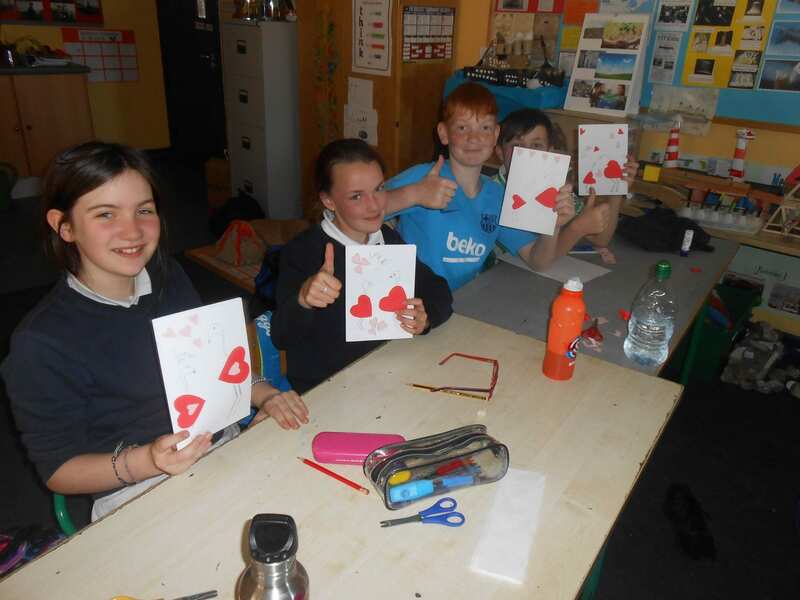 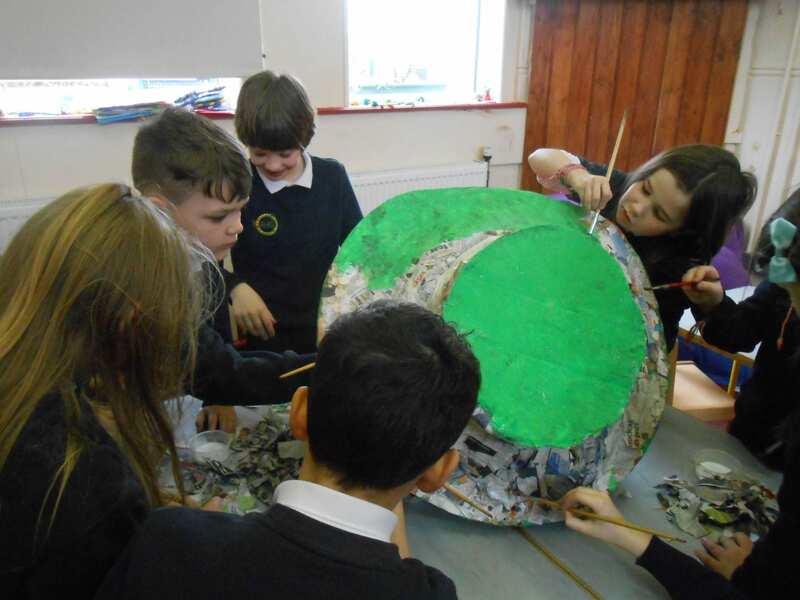 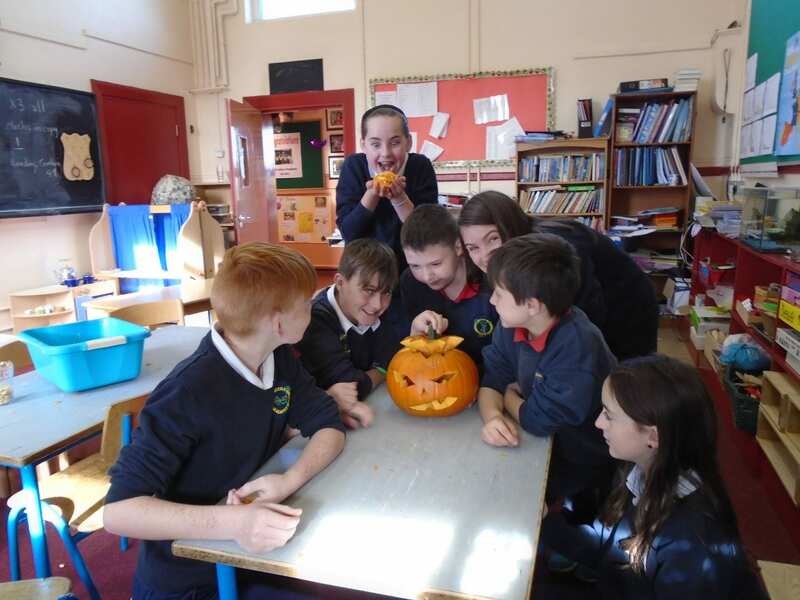 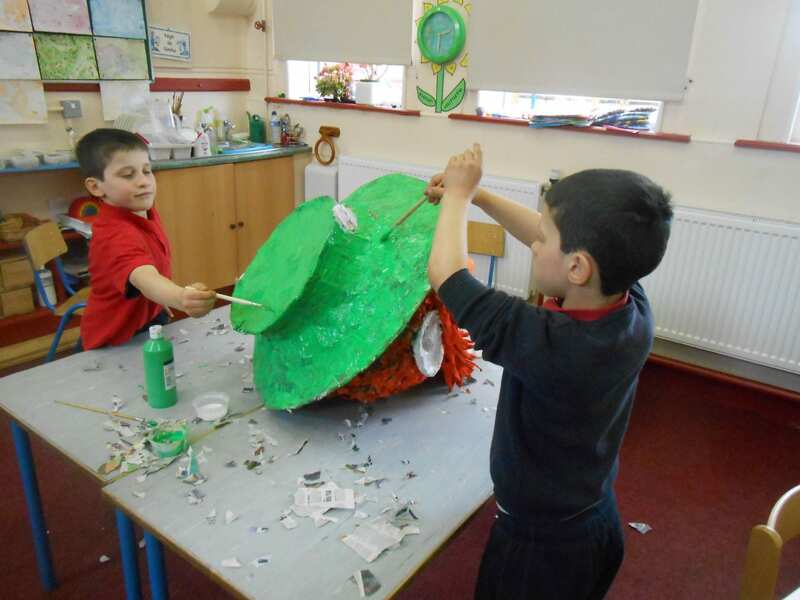 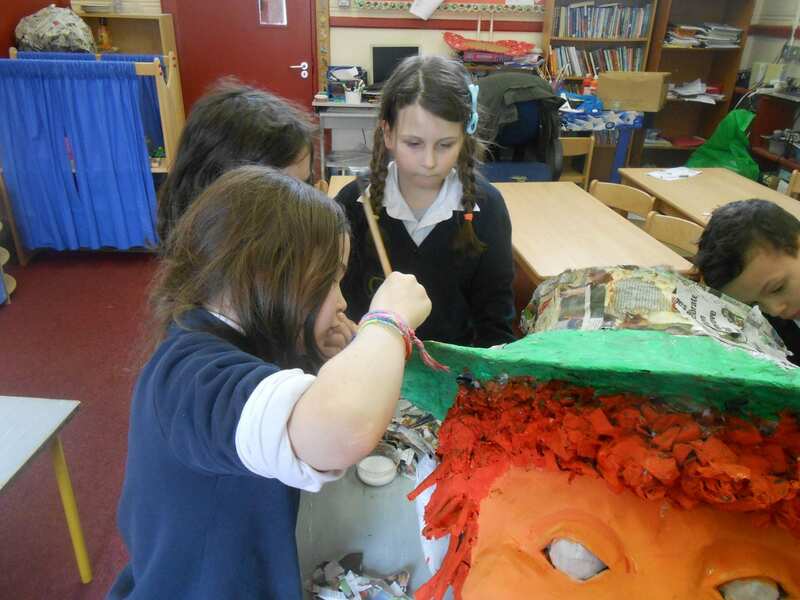 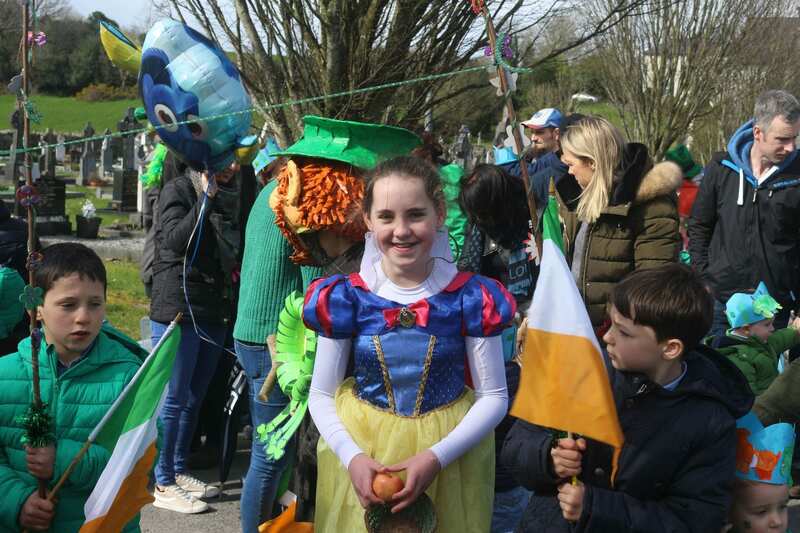 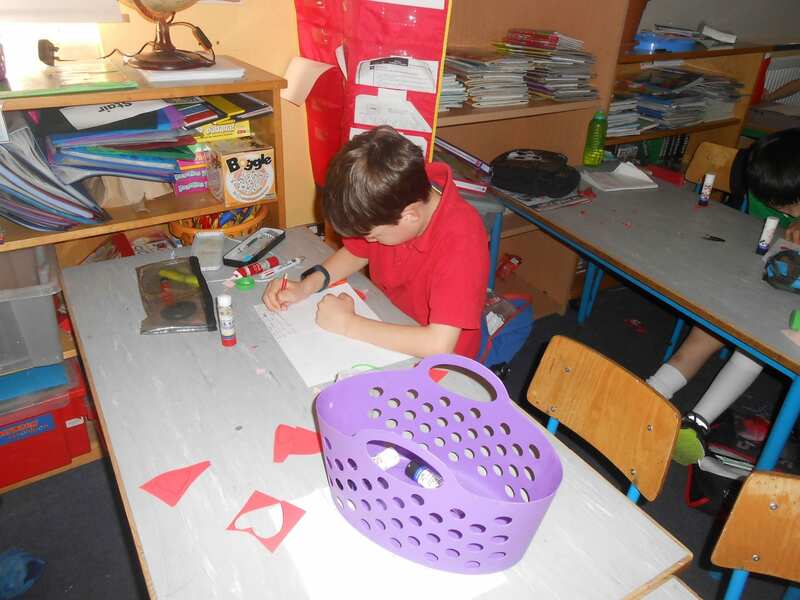 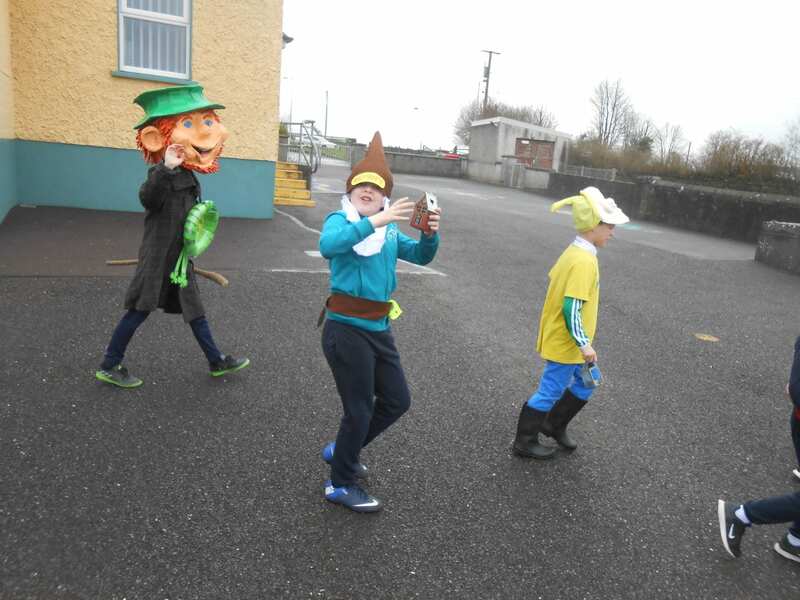 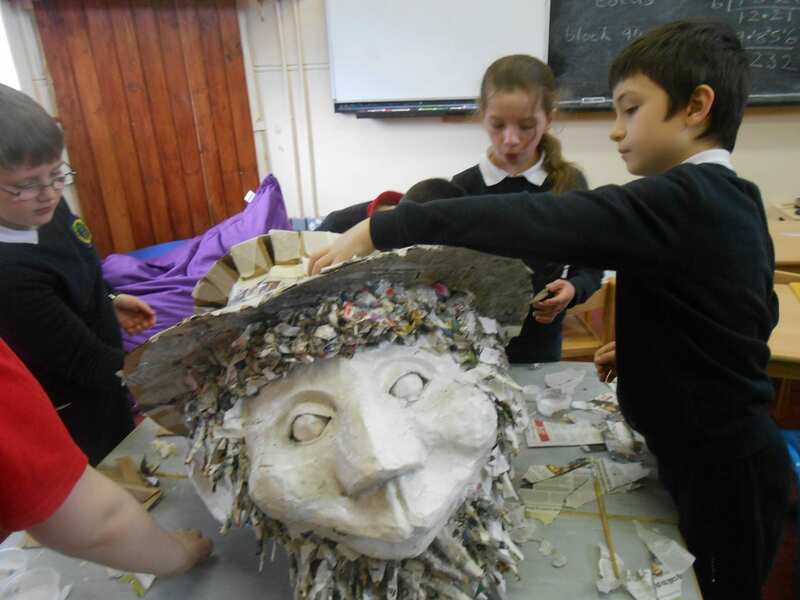 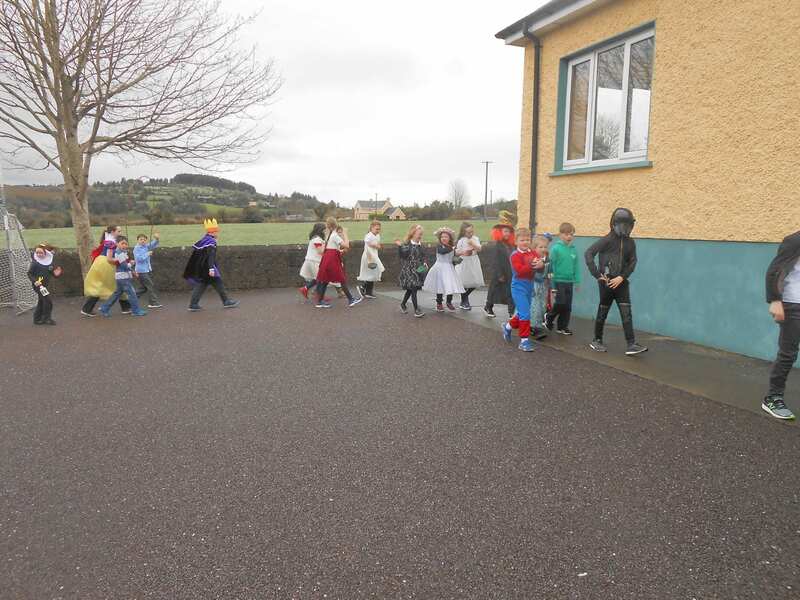 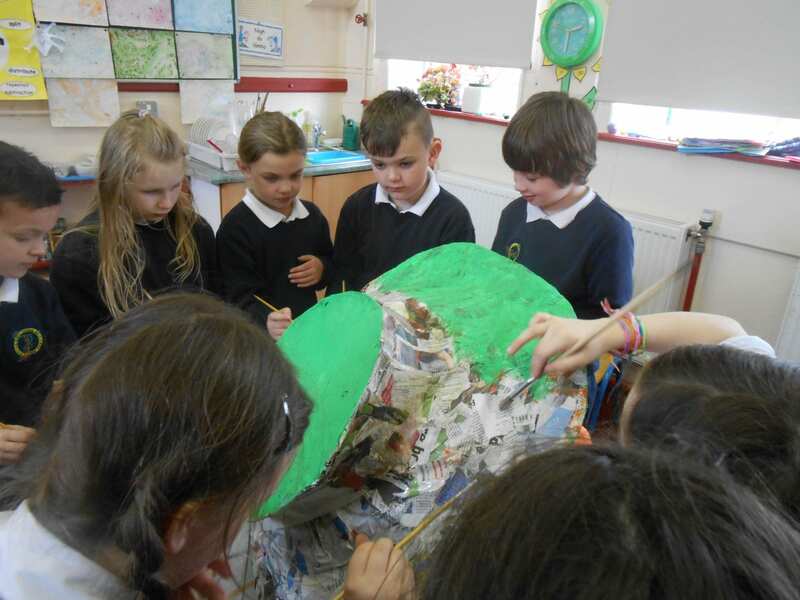 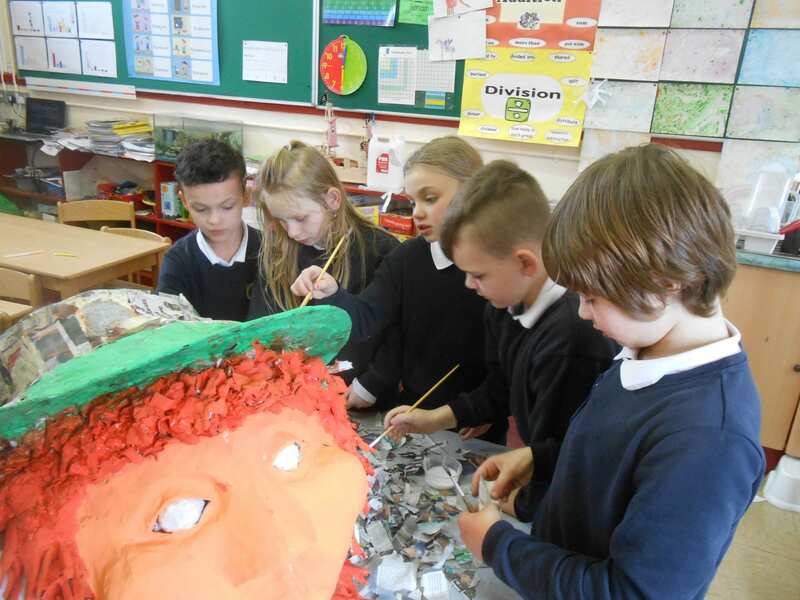 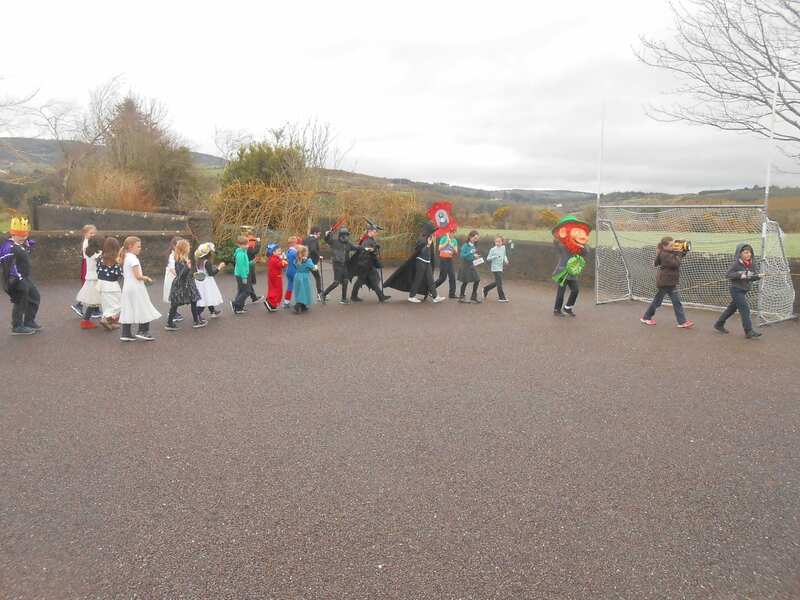 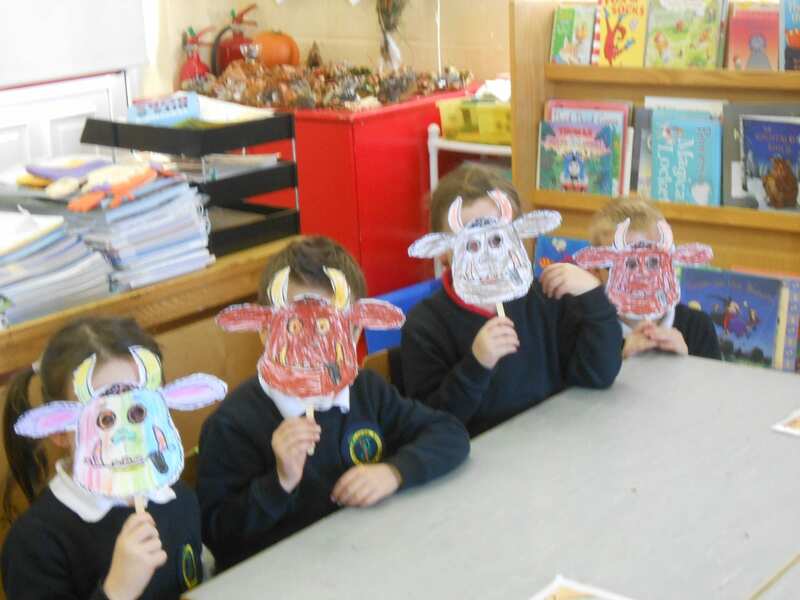 Arts & Crafts » TOGHER N.S. 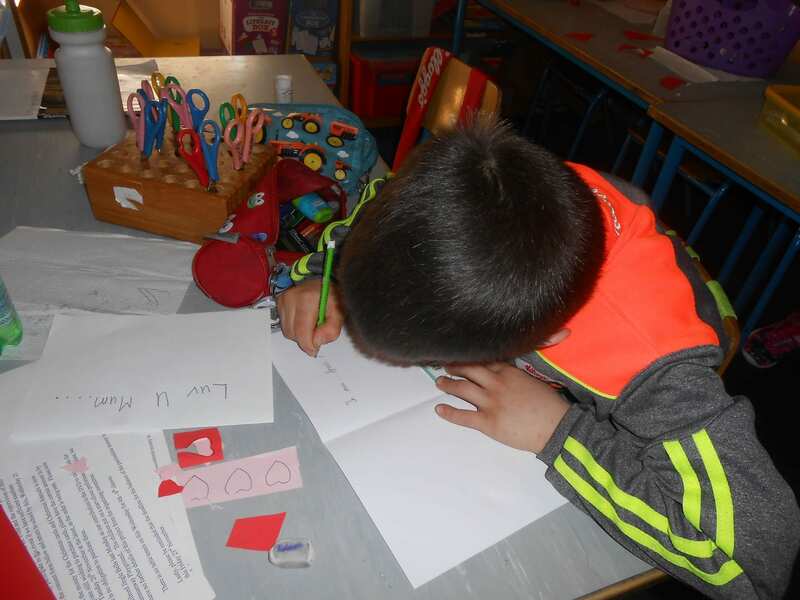 The children were very busy this week getting their Mother’s Day cards ready for the special day. 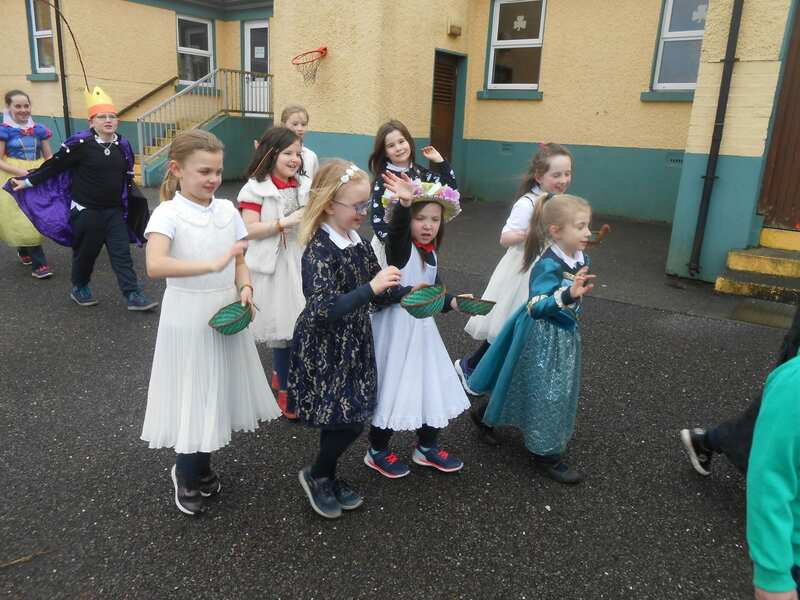 Following the time honoured tradition of St. Brigid’s Day, we weaved rushes into crosses. 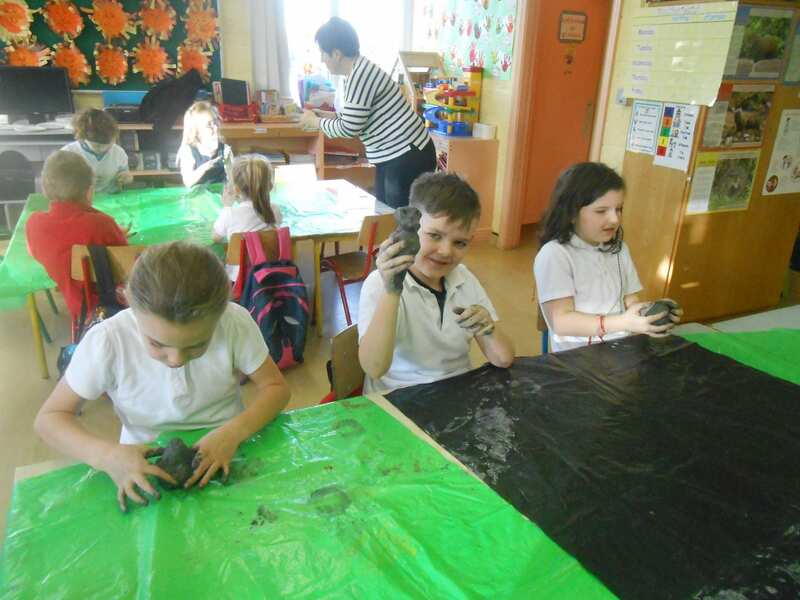 who gave so willingly of their time and helped the younger children to make their crosses. 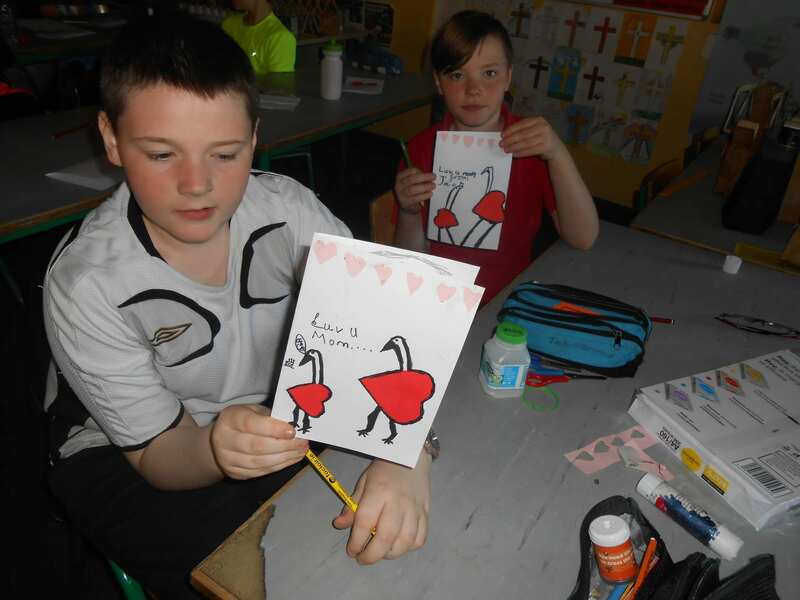 We even made some extra ones which will be distributed in the church tonight. 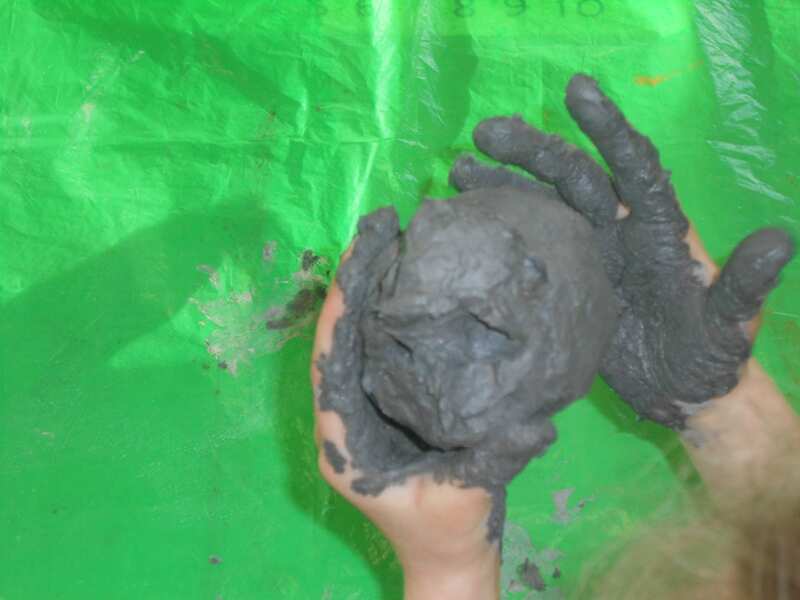 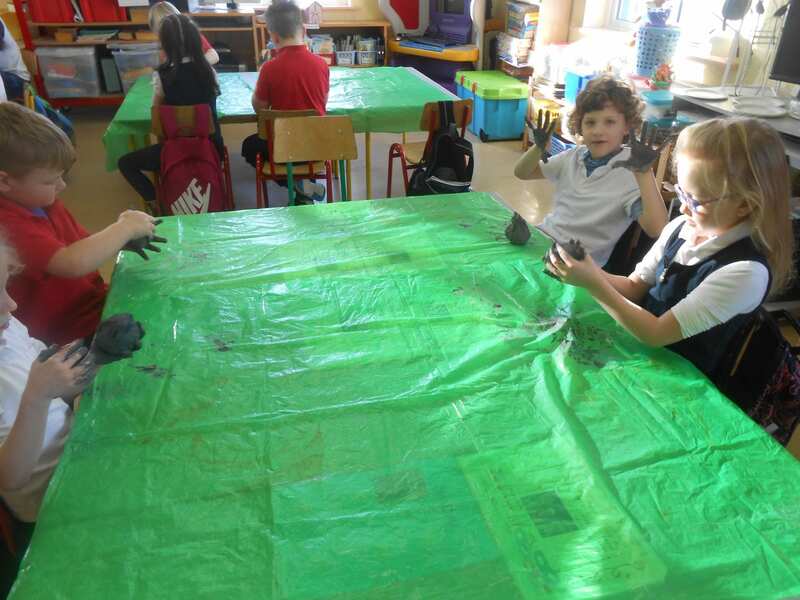 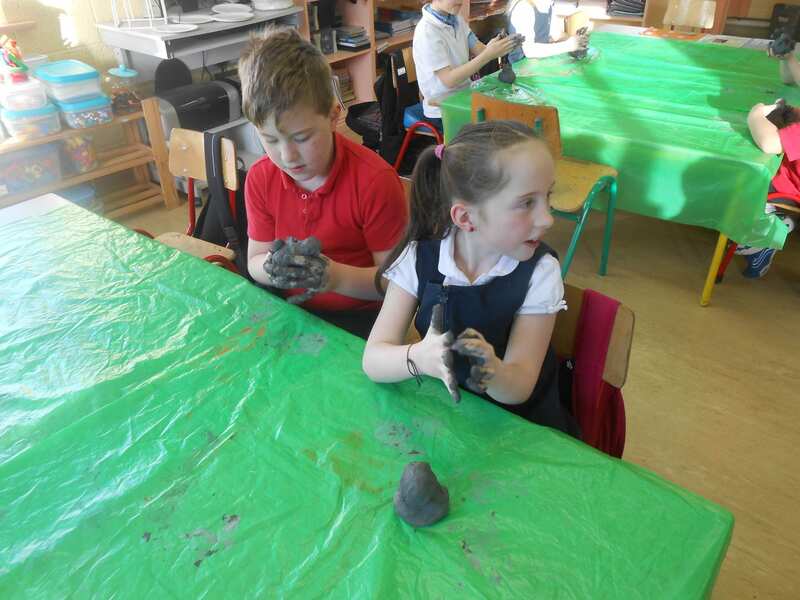 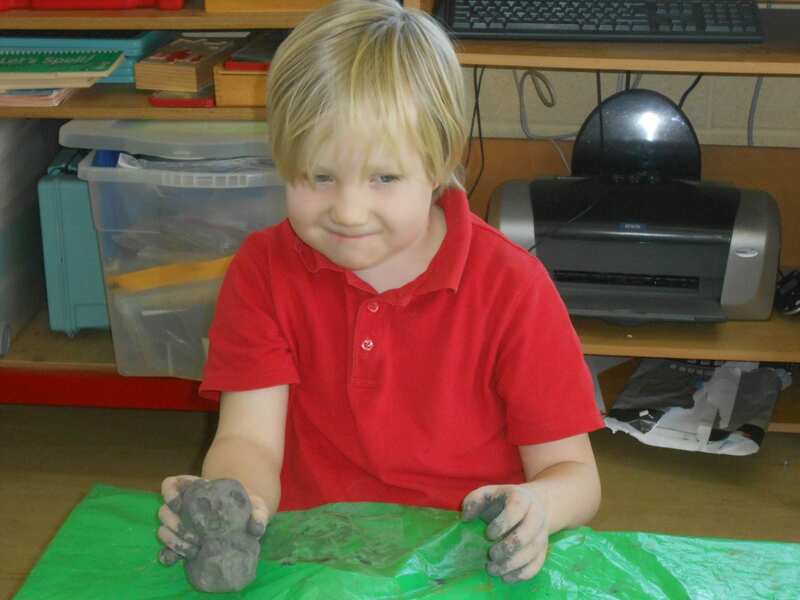 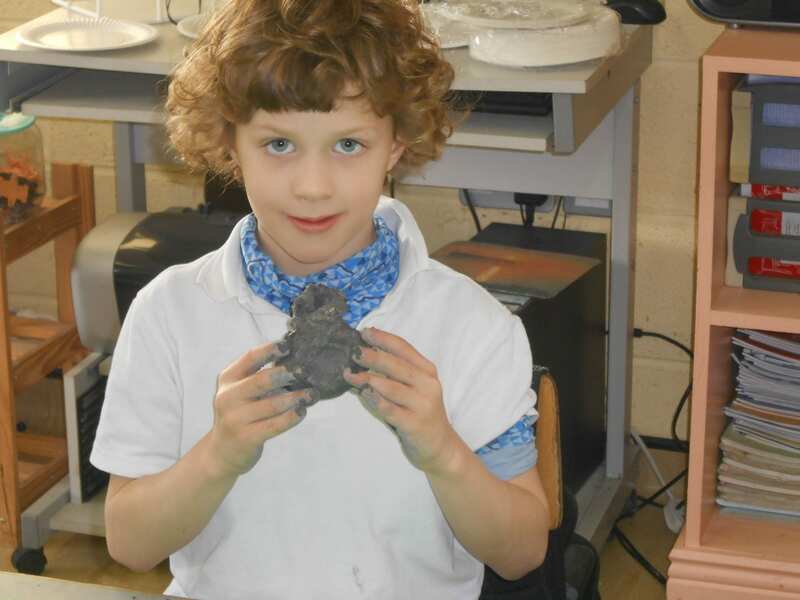 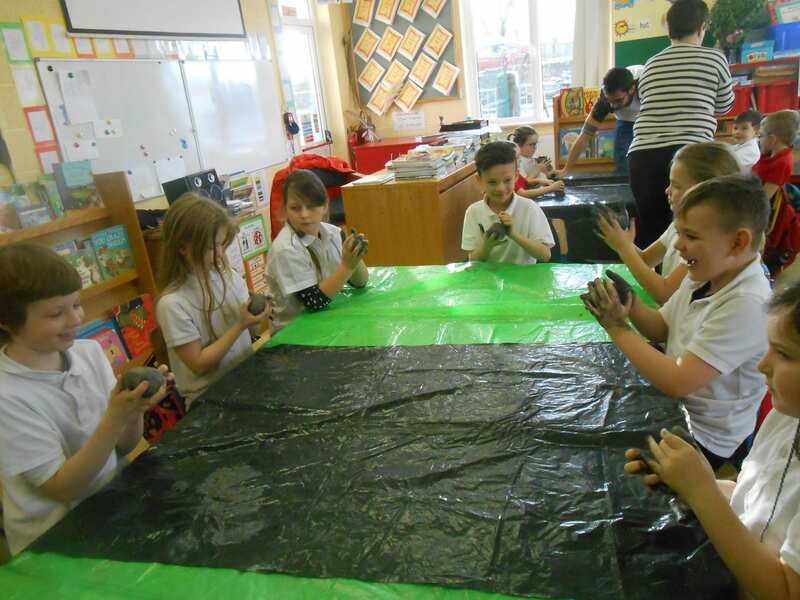 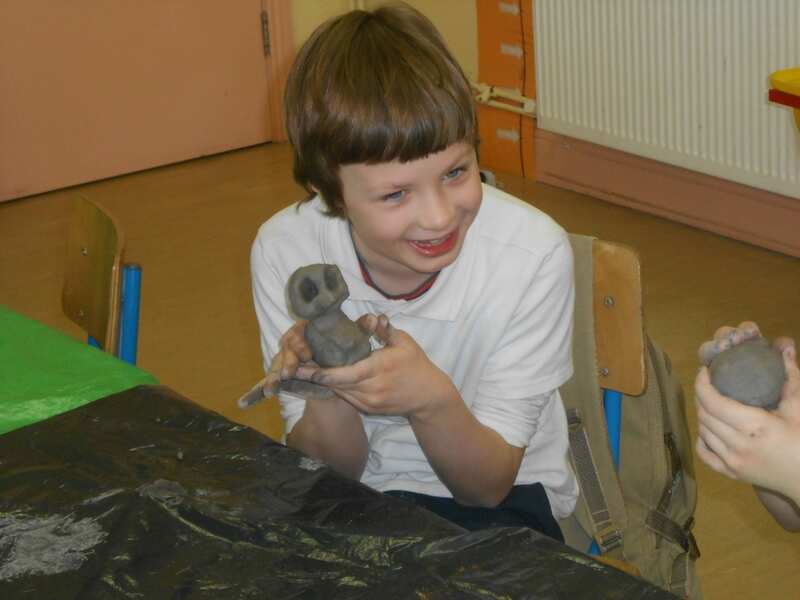 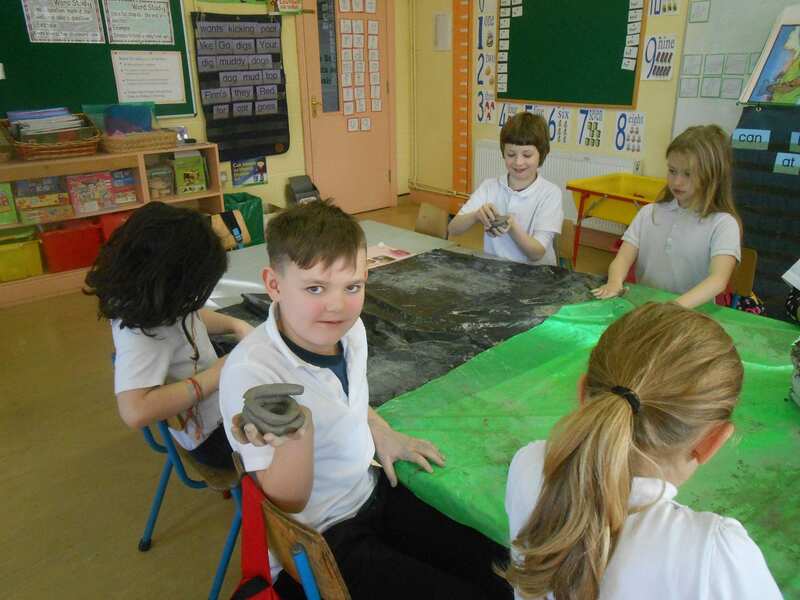 The children in Miss Daly’s room had great fun making ring pottery and molding with clay. 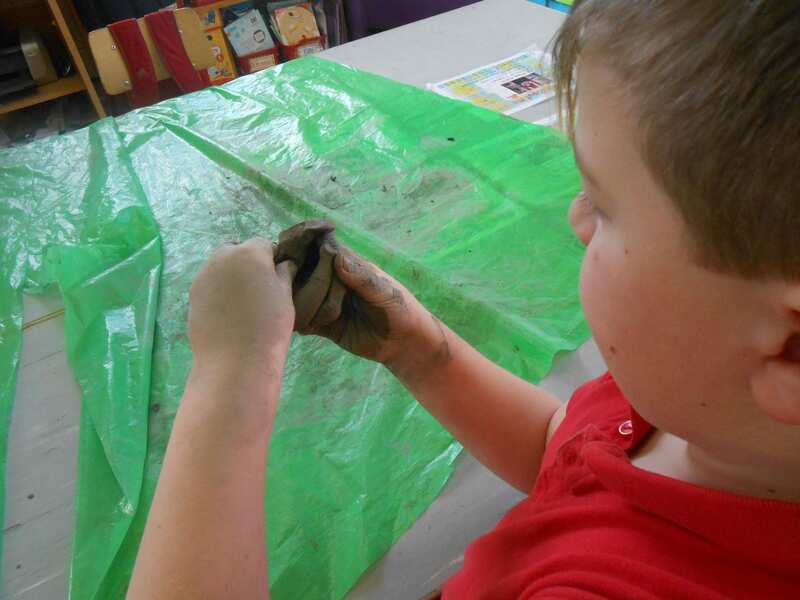 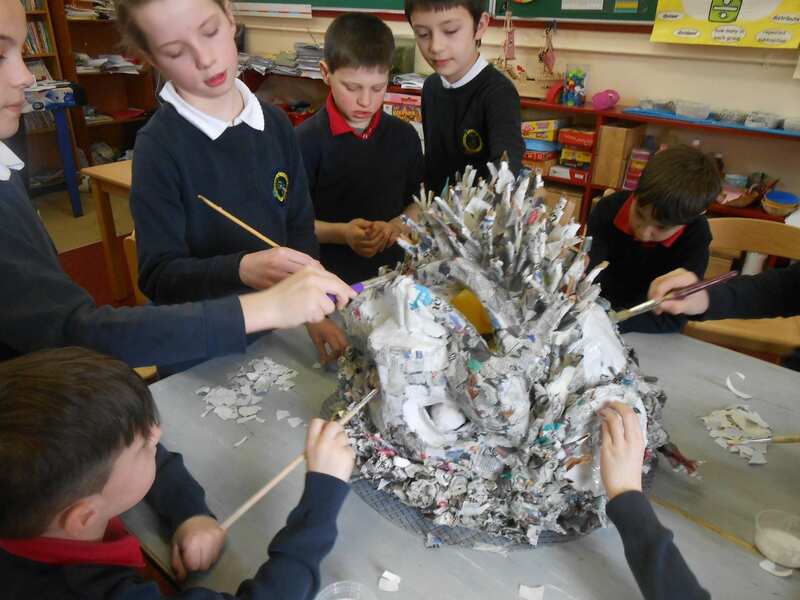 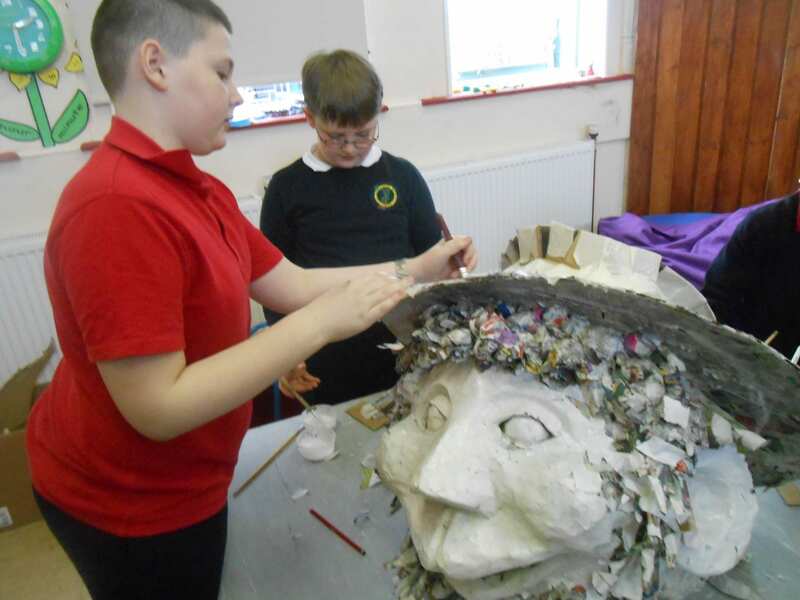 It’s very messy but when you are a “hands on, minds on” school – messy is always the way to go! 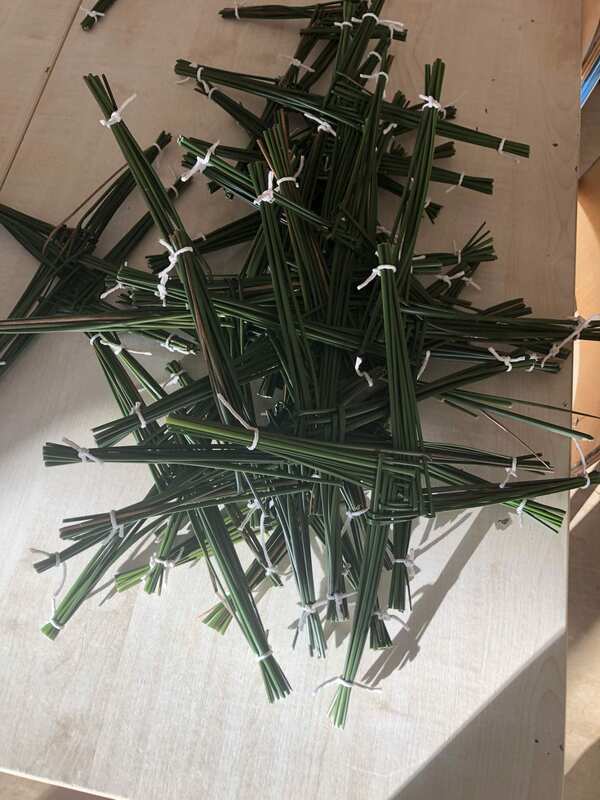 The pupils will be making St Brigid’s crosses tomorrow. 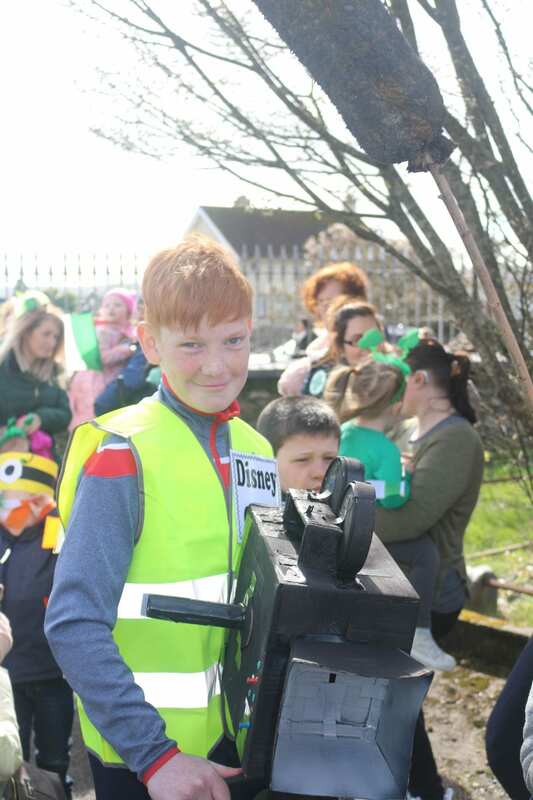 Please make sure your child/children bring the necessary rushes with them on the day. 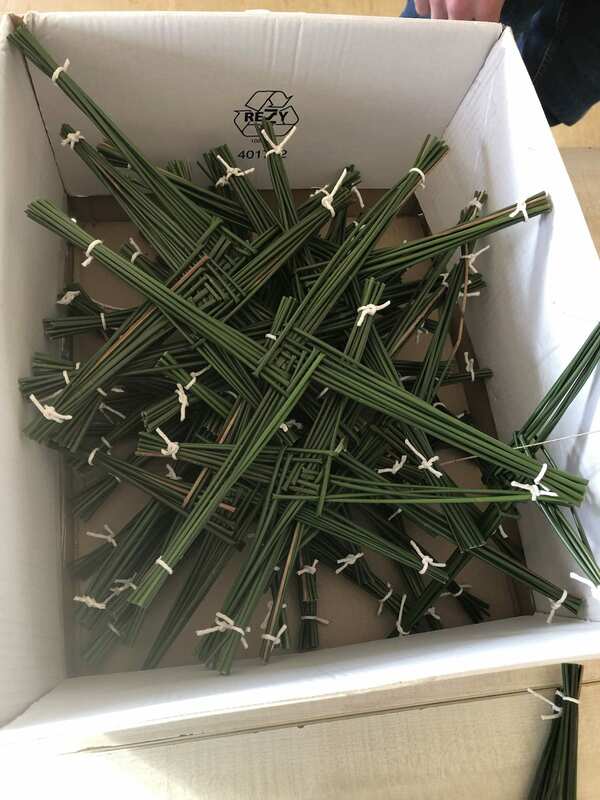 We made some today for distribution at Mass on the 1st. 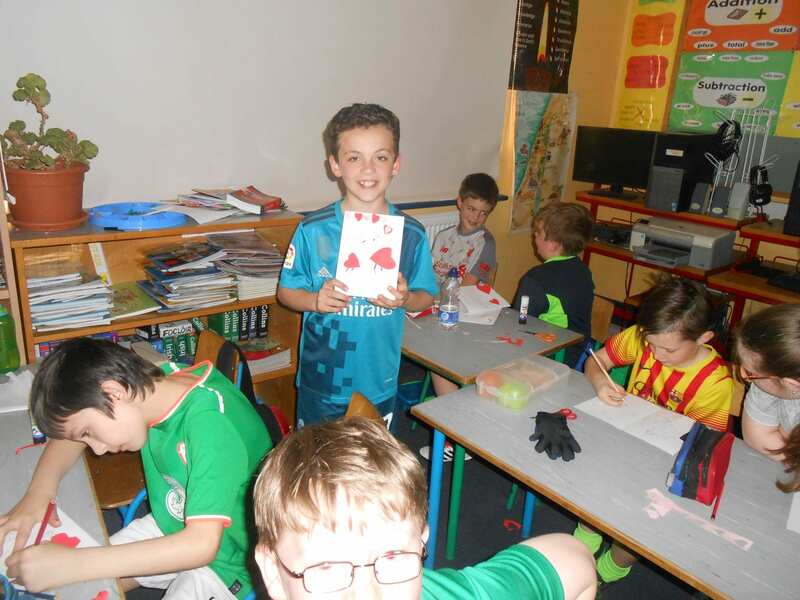 The Christmas Cards project has been a great success this year. 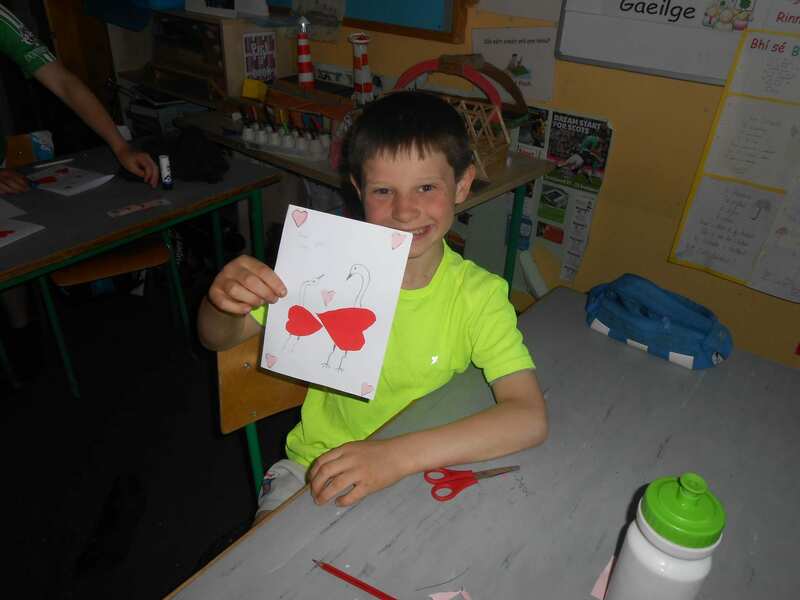 Each child designed his or her own card. 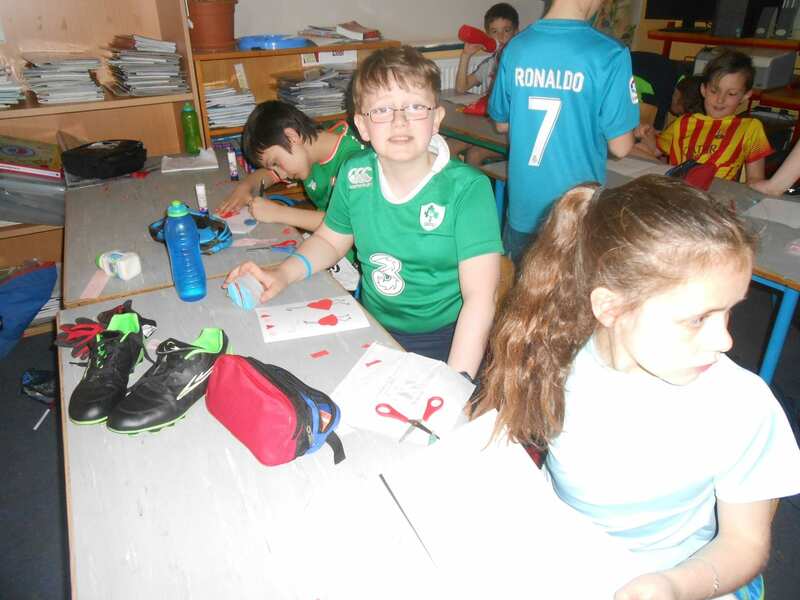 A copy of their card along with ordering information will be given to each child on Monday. 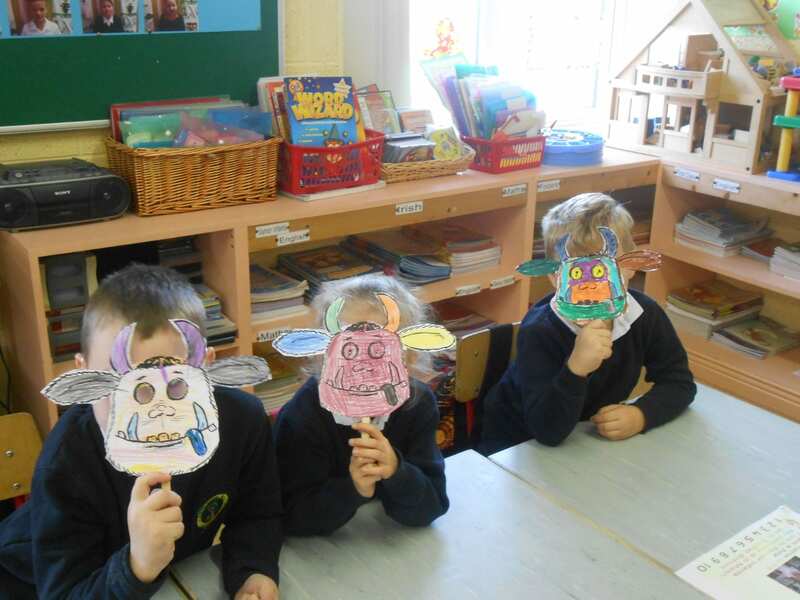 There’s no such thing as a gruffalo? 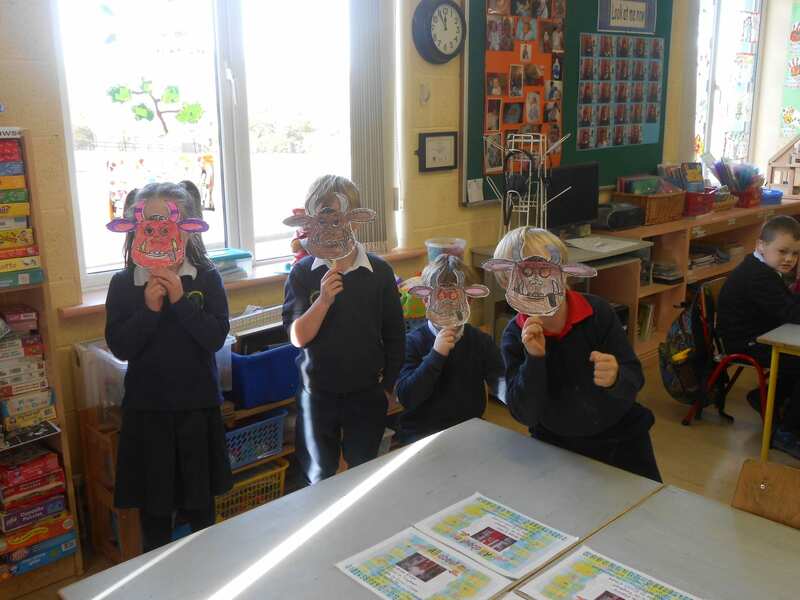 The children in the junior room really enjoyed the wonderful The Gruffalo story.